I would stay there again. The outlook was fabulous from our terrace. The complex is very dated. 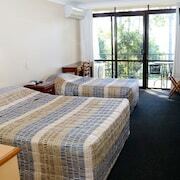 The unit was comfortable in all respects and with a new aircon unit. Peaceful with plenty of bird life to observe outside. We only stayed one night this time, it was so good we've booked for 2 nights at a later date. The chalets have everything you need and are separate so you feel more private, and the view is spectacular. To top off the experience the owners are lovely! Close to shopping and convention centre. We were upgraded to free breakfast. Huge TV in room, free wifi, comfy beds, fun atmosphere. Although room was very clean it felt a little bit dusty. Maybe pillows etc. could be given a good dusting outside every so often. Venturing to Mount Tamborine? 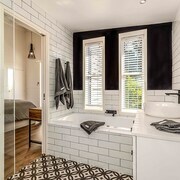 lastminute.com.au has you well and truly covered. 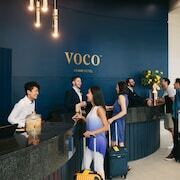 Whether you're craving the luxe life or want to keep your stay simple, we have the perfect hotel for your style and budget. 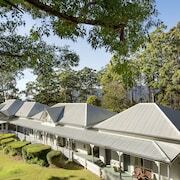 Take a look at our 12 hotels within a 5-kilometre radius of Mount Tamborine's centre. Ready to paint the town red? Save yourself the late-night taxi fares and snag a room at central hotels such as The Castle On Tamborine and The Polish Place. An excellent area to have a squiz at is Southport, 20 kilometres from the central streets of Mount Tamborine. 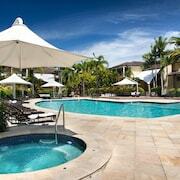 It boasts 12 places to stay, including the Aqualine Apartments and Aquarius Travellers Resort Gold Coast. Labrador, 20 kilometres from the middle, is yet another option for places to stay. Want us to make it easy? 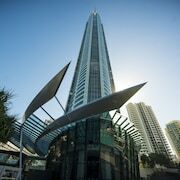 The Blue Waters Apartments and Crystal Bay on the Broadwater are our best picks. Hone your technique at Tamborine Mountain Golf Culb, a perfect stop for any keen golfers. If you want to book a room not too far away, The Escarpment Retreat and Mountain Edge Studios are two which get the lastminute.com.au seal of approval. Want more options? The Palazzo Versace can be found 20 kilometres away from the main central area, and the Ruffles Lodge & Spa is 13 kilometres away. If those ones aren't up your alley, you might prefer the Peppers Soul Surfers Paradise or the Ultra Broadbeach. Always on the lookout for that next big, fat adventure? The wider Queensland region has some incredible things to check out as well. Nature lovers should check out some of Mount Tamborine's incredible beaches, rainforest and tablelands. A few other gotta-sees to stick on your hit list are craft workshops and farms. Additionally, if you’ve always wanted to go hiking, you'll have the chance to in this part of Australia. Don't shoot through before you've gone to the Wet'n'Wild Water World and Dreamworld in Wongawallan. 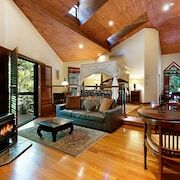 Some of our recommended Wongawallan accommodation options are the Tamborine Mountain Bed and Breakfast and Mt Tamborine Stonehaven Guest House. 13 kilometres to the northeast of Mount Tamborine you'll find Oxenford, which is home to the Gold Coast Holiday Park and Coomera Motor Inn. Harbour Town and the Parkwood International Golf Course are among the more popular sites to see when you're in Oxenford. Pooped from the flight? Need somewhere half decent to stay but think 65 kilometres from Brisbane Airport to the centre of town is just waayyy too far? Relax. 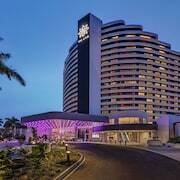 The Novotel Brisbane Airport is within cooee and has your name all over it!